Being a parent is a joy, but it's also hard and stressful and you're only human. Weed Mama is after all, a mom. This mom not only uses cannabis in a responsible way to manage the stress that comes with parenting, I teach you how to as well. We're very familiar with wine culture, a nice glass of wine can calm the nerves, without feeling intoxicated. You can also do this with cannabis, when used correctly, cannabis gives you a nice relaxing sensation without intoxication. One specific way to use cannabis during the day, that can be very beneficial for managing stress is microdosing. Microdosing is as it sounds, you take small doses of cannabis so you get the benefits of the plant, without intoxication. The best way to microdose, is with vaporizing. You can microdose with other methods as well, however vaporizing adds a highly customized approach to cannabis consumption- allowing you to adjust the temperature, releasing only the desired terpenes and cannabinoids. I don't recommend microdosing with edibles as a beginner, however using a low THC tincture is worth trying. Taken sublingually (under the tongue) the cannabis is absorbed into the bloodstream and it can take anywhere from 20 minutes to 2 hours to feel the full effect. For microdosing you want to stay under 5mg per dose. This will help with relaxation without it going to your head. 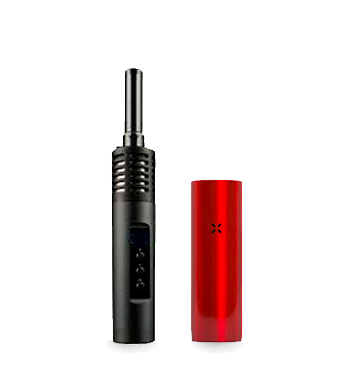 With vaporizing you want to use low temperatures, from 315F (where THC vaporizes at) to 350F. The sweet spot with low temperature vaping is 338F, however play around with lower temperatures until you find what's best for you. Strains with high CBD will need be vaporized at 356F as that's the boiling point for CBD. (Visit our page on vaporizing to see the temperature guide). If you don't want to take THC, there's CBD. CBD is one of the two main cannabinoids found in the cannabis plant. CBD is tolerated well with few side effects. CBD is great for anxiety, muscle tension and can also help with pain. Topically, there's nothing better than a long CBD infused soak in the bathtub. However taken internally it can really help parents feel calmer in the day. CBD vape pens will be coming to the market in October of 2019 and this is where it's at for quick, instant stress relief. However there's also high CBD strains that have less than 1% of THC, strains such as Charlotte's Web can be helpful to vaporize in the day. The other way to take CBD is orally through tinctures or pills. A good starting dose is around 25mg and adjust up or down as needed. Taken orally the effects of CBD lasts longer, up to 4 to 6 hours whereas vaporizing is around 30 min.